Meeting their first teacher might be easier when toddlers bring their own Little People Teacher along! 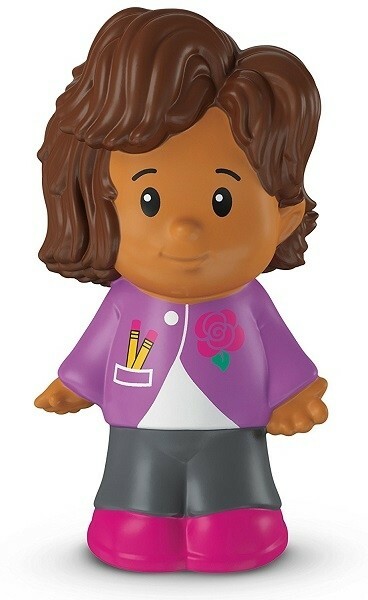 This Little People teacher has pencils in her pocket and a welcoming expression. 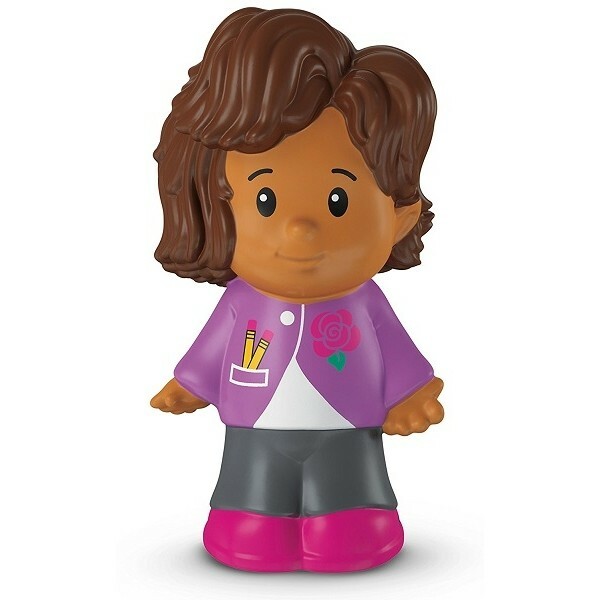 Just one more way Little People toys help bring the real world down to size for kids. Smart, huh? 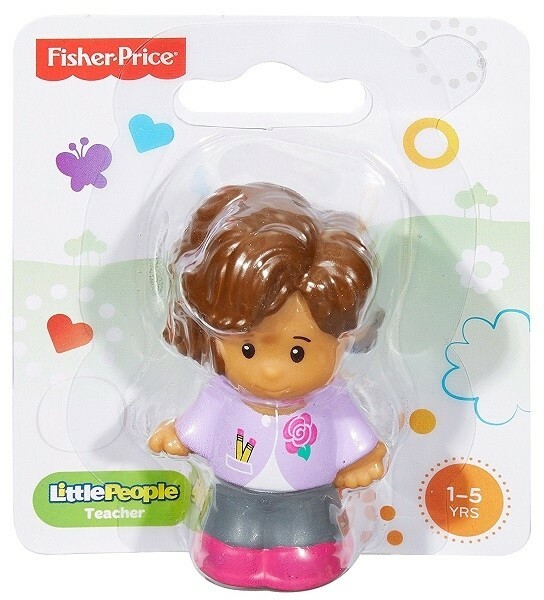 Little People have been a favorite of toddlers and preschoolers for generations! The newly redesigned Little People are sized just right for little hands, and are big enough to be safe for the littlest Mighty Girls. A variety of fun and exciting professions are represented in these figures, encouraging lots of ambitious imaginary play!